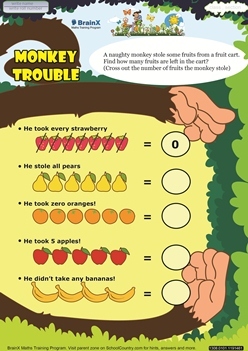 BrainX is world's most exhaustive math training program for kids of Kindergarten, Class 1 to class 5. Excel in math with our proven system designed by IITians and Math Experts. We address 650+ math skills through a combination of math activity sheets, worksheets and simple paper toys delivered at your home. The package addresses complete math curriculum.